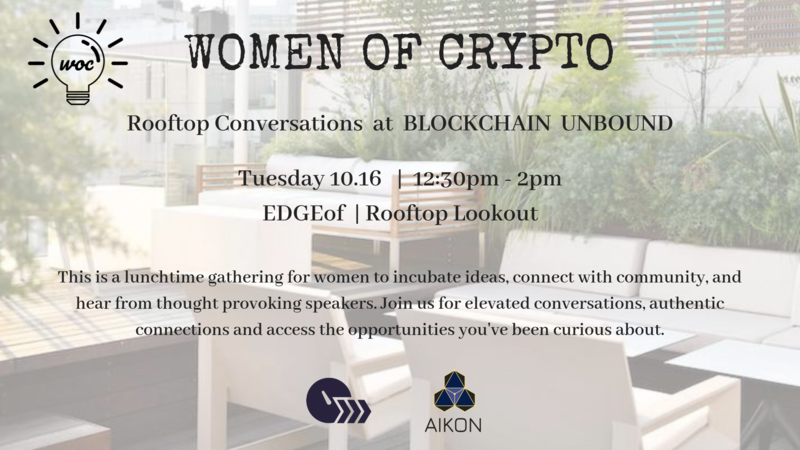 The WomenOfCrypto organization is heading to Tokyo Japan for the Blockchain Unbound Conference, hosted by Blockchain Industries. The BU conference is a 3 day event from Sun 10/14 – Tues 10/16 held at the EDGEof, Tokyo. Our WoC event is being held in partnership with Blockchain Industries. WoC creates spaces for elevated conversations and authentic connections to transpire. Through various mediums, we highlight our community members contributing to the eco-system and their work, facilitate connections, and create content to share a more diverse point of view. We believe that the female voice and leadership in this new world matters. We will always value quality of our members over quantity, and see every member as an integral voice within the collective. The WomenOfCrypto organization encourages the inclusion of women in the blockchain/crypto market. We are a catalyst for putting women at the forefront of the opportunities they desire, through access, knowledge and connections. We are a movement creating a diverse community that celebrates gender neutrality, because the female voice in this new world matters. We are believers in the decentralized movement to create a better world and challenge the status-quo. We thrive at the intersection of financial feminism, blockchain technology, and social impact.